While many people, including myself, are shaking their heads at the notion of an earthquake that could split our country in half, the facts remain that it is a possibility. In fact, it's a big enough concern that our government and large corporations are running test drills to see how certain areas would react to a huge quake like this. In October 2009, a team composed of University of Illinois and Virginia Tech researchers headed by Amr S. Elnashai, funded by the Federal Emergency Management Agency (FEMA), considered a scenario where all three segments of the New Madrid fault ruptured simultaneously with a total earthquake magnitude of 7.7. The report found that there would be significant damage in the eight states studied – Alabama, Arkansas, Illinois, Indiana, Kentucky, Mississippi, Missouri and Tennessee – with the probability of additional damage in states farther from the NMSZ. Tennessee, Arkansas, and Missouri would be most severely impacted, and the cities of Memphis, Tennessee and St. Louis, Missouri would be severely damaged. The report estimated 86,000 casualties, including 3,500 fatalities; 715,000 damaged buildings; and 7.2 million people displaced, with 2 million of those seeking shelter, primarily due to the lack of utility services. Direct economic losses, according to the report, would be at least $300 billion.. The part that we should worry about is that there are 15 Nuclear Reactors along this particular fault line! So if the worst does take place we are talking about a MAJOR catastrophe taking place. 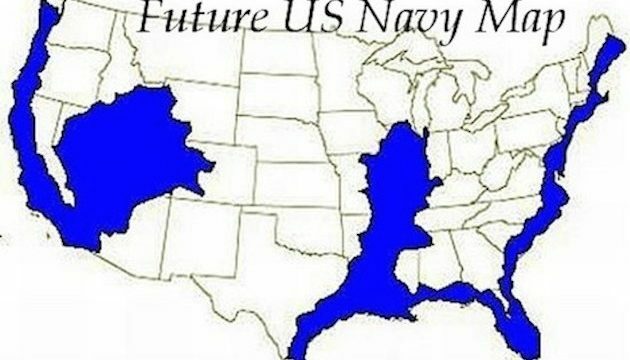 The blue portion shows us where our new coastlines would be. Crazy to comprehend, am I right?! So as we continue to prepare for a variety of survival situations, we may want to amp up our bug out plans and consider fault lines such as this one. 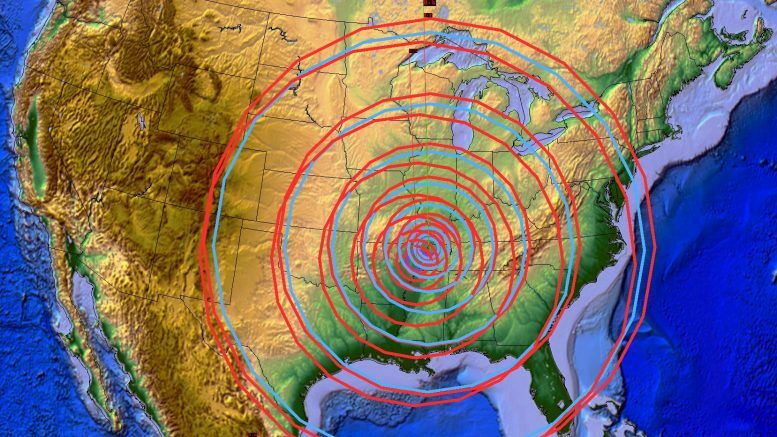 It has been a long time since a large quake has rocked the U.S. and more specifically along a huge fault line, but that just means we may be closer to having that take place. After reading what's in the news and checking out everything there is to know about fault lines, do you think there's a threat? How else should we be preparing for a potential catastrophic event like this one?